When potential customers find your business online, is it a case of ‘love at first site’, or do your online efforts have people hurriedly hitting the back button? 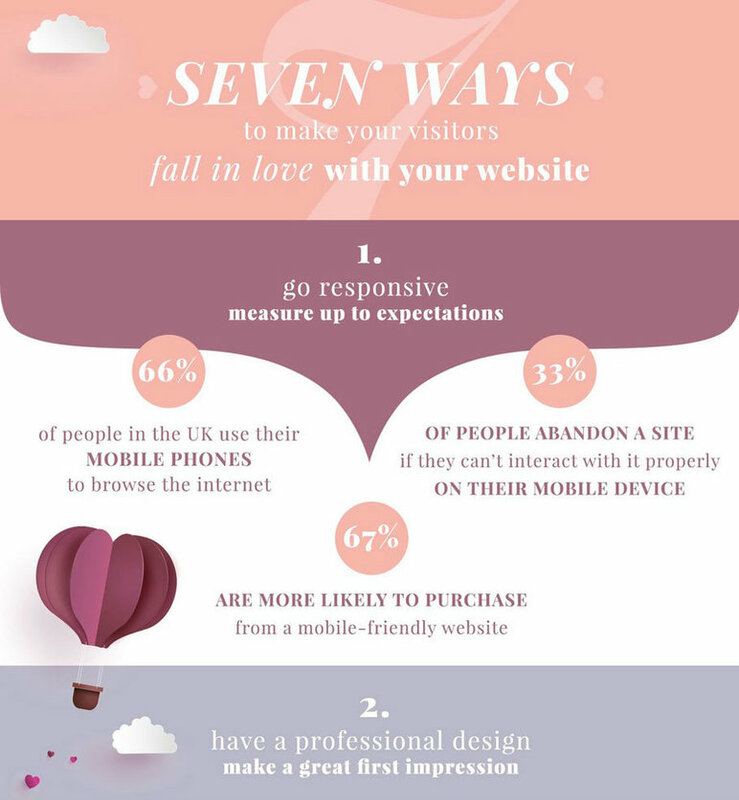 In our handy infographic, we’ve compiled a list of ways to ensure that your website is sending visitors head over heels. Read on to discover exactly how you can improve your website’s performance and make sure it’s working for both you and your customers. As you can see, winning people over when they visit your site needn’t be a difficult task, and by making a few small changes you are certain to sweep any potential customer off their feet. For more advice on how to engage visitors to your website, follow us on Facebook and Twitter. Got an idea we haven't covered? Tell us in the comments below!